Welcome to Once Upon A Grooming! When you step into Once Upon A Grooming it is my goal for both you and your pet to feel comfortable and at home. I wish to build a relationship with each and every one of my clients (furry and not) that will last for years to come. My goal as your pets groomer is to make them look and feel their best in a most humane and stress free way. At Once Upon A Grooming, we will accommodate you and your pet to the best of our ability. Whether you want your pet groomed in an hour or have him/her spend the day, we are here for you! I hope to offer you and your pet a classy upscale grooming experience without burning a hole in your wallet .We promise to send every pet home looking like a prince or princess using our unique special touches. 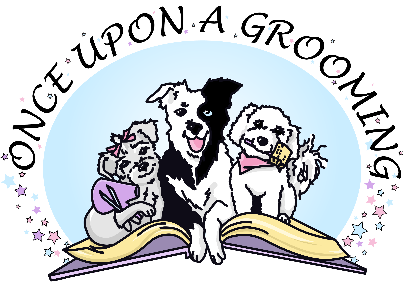 Copyright © 2015 Once Upon A Grooming, Inc.
Sign up to stay up to date on news, specials, events and more!